This is a semi-professional grade 16-bit computer from 80s. It's CPU is MC68K at 8MHz, the same as first Apple Macintosh computers. It has 1MB of RAM (512K in 520ST) and built-in floppy drive. These machines were quite expensive for its time, but in Poland there were some users. In first versions, the only instructions in ROM was "Read OS from floppy disk", like in Amiga, but in later versions OS is stored in ROM chips, so it runs automatically. Downfall of this solution is that OS upgrade requires EPROM re-programming or booting from floppy. Atari 1040 was known as good computer for making music because it had MIDI interface built in. Characters after ST specifies type - F means integrated floppy drive, M is for RF modulator. OS: TOS in ROM or floppy. 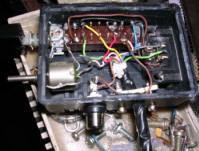 Built-in switching power supply unit in 1040. Possible upgrades: Many upgrades and h/w mods. - my Universal mouse works well with these computers. My 1040 unit is a German one, with German keyboard and TOS. I don't have an original mouse and monitor for this computer, but TOS works quite well and it runs programs. 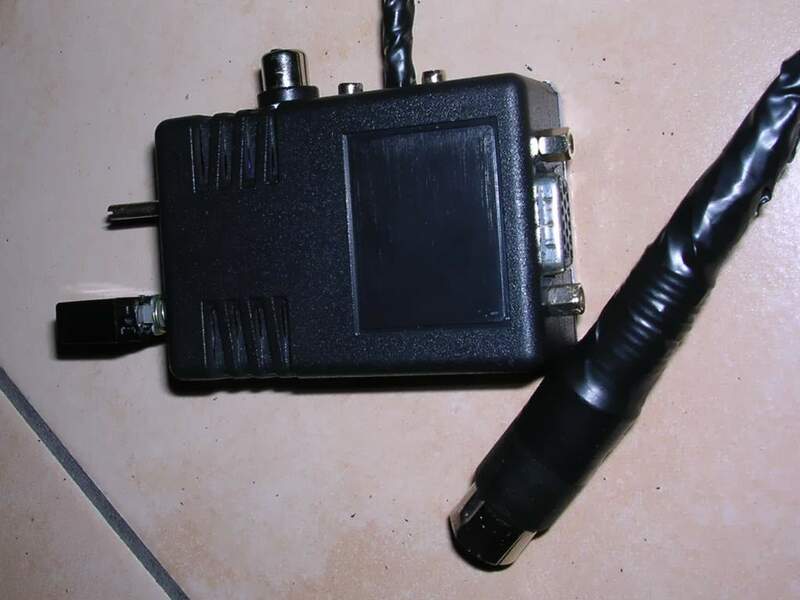 My 520ST is from United Kingdom and it has PAL UK modification for modulator. I don't have floppy disk drive for it, but pinout looks quite compatible with PC. After power-up it will display clear screen and will try to boot TOS from floppy. If it fails (no floppy in drive), it'll try to load TOS from ROM. Anyway, you should end with TOS loaded. It may probe the drive for a minute or longer, to make this time shorter you can format a blank floppy and place it in drive during power-up. In most cases you can drive cursor by keyboard arrows and Alternate key. Atari ST has mouse/joystick ports in a strange place, making it difficult to plug and unplug connectors. After more than few years of plugging/unplugging these connectors may break off. If these ports don't work and moving or pushing connector makes it work for a moment - it's a problem with connector soldering. 1. Remove screws from the bottom of Atari. Don't remove 3 screws keeping floppy drive in place. 2. Remove upper cover by lifting its left side and sliding a bit to the right, as it's kept by FDD on the right. 3. Carefully open keyboard upwards, disconnect it from mainboard. 5. Remove keyboard from boxes, now remove all screws from the back. Lots of smaller ones and two larger, holding mouse/joystick ports with metal part. These screws behind transparent plastic cover must be removed too. Carefully place the keyboard in boxes and pry the printer circuit board out. 6. Do not open the board (PCB) in any direction because you may damage LEDs. Just lift it vertically, and few centimeters above flip to the other side. Some rubber pads will be on the PCB, some in plastic frame. 7. Take all rubber pads from PCB (don't touch inside of them!) and place them into holes in frame. Missing one rubber pad? Return key has two holes, but usually only one pad, doesn't matter in which hole. No key must be pressed during this operation or the pad will fall out. 8. Having free PCB, you can repair solders of connectors. If any track is torn from PCB, you have to use piece of wire formed in a loop in one of its ends to replace missing track part. After correcting soldering make sure (with ohmmeter) you haven't made any short circuits! 9. You can clean keyboard gold parts using cloth with denaturated alcohol. 10. Carefully place the PCB back on the frame, vertically, aligning LEDs first, small plastic alignment pins next. Replace all screws. Now you can lift the frame from boxes and check aren't any keys stuck inside (if there is - rubber pad is missing). You'll get a blank floppy barely usable on ST. Writing disk images is easier - you just use FloImg utility from here. So you'll end with disk, which may be or may be not readable by ST, but writing to disks formatted in PC will be a problem. Why? HD drive writes much stronger than DD, and DD may have problems with physically overwriting magnetized places. To make floppy friendly to DD drives, you have to totally neutralize magnetization of the HD floppy and re-format it in Atari. Just use an AC coil the same way it's used to demagnetize tape recorder heads or CRTs. You turn it on a few meters away from floppies, move it slowly towards it, next de-magnetize by putting it closer with circular moves. When finished (2 minutes will be more than enough) turn it off but do it with coil few meters away disks. Now they're ready to be re-formatted. WinXP may display some errors, but Win98 works well. Now about the disk images: There are usually a few games on one disk. These are called Menudisks, because they boot to menu which makes you able to choose game. These are of course illegal releases. Legal ones occupy just one disk (or two if game os bigger). There are two popular ST disk images. just .st extension is a typical disk images, they can be started in emulator or written to floppy. STX image format is like G64 for Commodore 64 - it's not a dosk image, but exact recording of magnetic flux timings. Although it really can be useful while emulating copy-protected games, it cannot be normally written back to floppy. * - Not connected in ST.
As Amiga Mouse directly connected works, but in bizarre way, it's possible to make my universal mouse working with it. 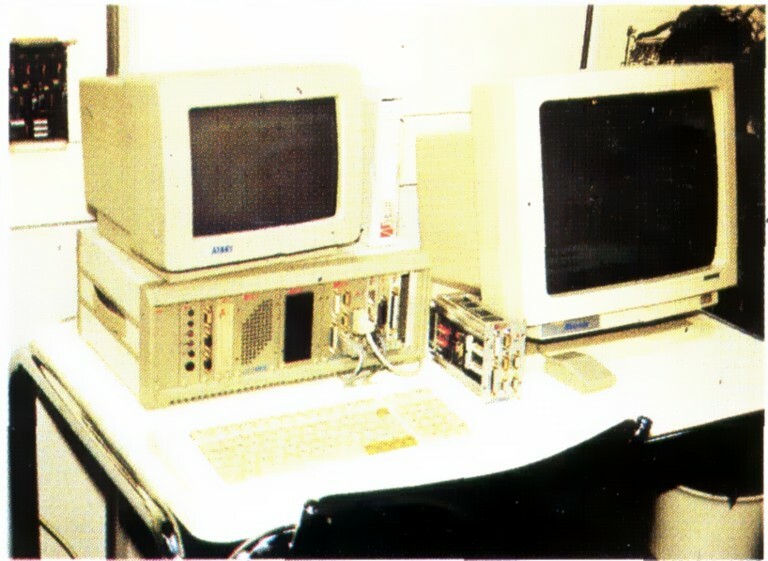 The computer has 2a serial and parallel Centronics port. Serial port is a standard one, with pinout described in Wikipedia here, DB-25 female connector. The only difference is that pin 6 is not connected. Centronics is also a standard port with Strobe, 8 data lines, Busy and ground placed as in standard in female DB25. It's possible to connect VGA monitor there, but frequencies are quite strange, so not all old VGA monitors will go. 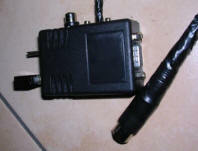 This is a monitor switch, allowing to connect VGA monitor to ST. Color mode doesn't work properly in most cases as it requires unusual scanning frequency. http://www.atari.org/hosted/quickfaq/ - Atari ST Quick FAQ - everything you want to know about ST. Many links are dead, so just search for files. http://www.atari.st/ - Game database with screenshots, descriptions, music, no download. http://web.archive.org/web/20080113194644/http://oldcomputers.net/stacy.html - Information about rare ST as a laptop. 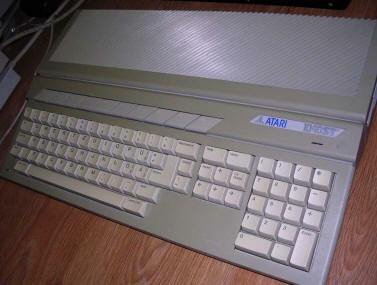 http://web.archive.org/web/20031002024945/http://www.vanc.igs.net/~roughley/tos_main.htm - History of TOS operating system on Atari ST computers. http://web.archive.org/web/20040805131328/http://members.madasafish.com/~aseabrook/atari/ - This can be a good place to start exploring dead web pages archived in Internet Archive. Today, you'll find more information there than in "living" Internet. http://ahladnik.free.fr/ - another game collection - Recently something redirected from this site, visit with NoScript.